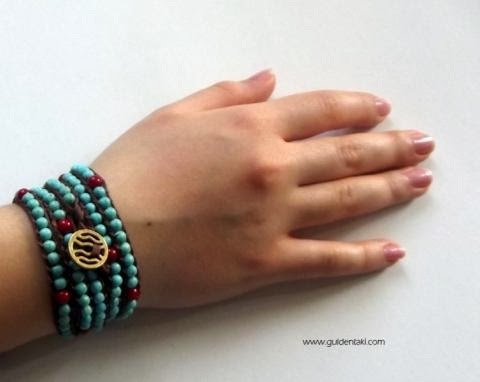 This bracelet with Turquoise and Coral stones.A beautiful brass metal button adds the finishing touch. This 5 wrap bracelet is adjustable. The total length of this bracelet is 90 cm.